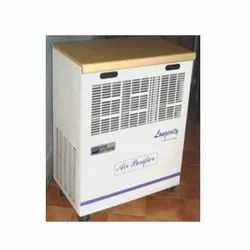 Our range of services include airmagik air-purifier. Longevity is specialized product that removes Allergens from indoor environments Effectively and economically. Longevity Removes microscopic particles, viruses, Bacteria, smoke, fumes etc. It uses High Efficiency Particulate Air (HEPA) FILTERS and is particularly useful for asthma patients.